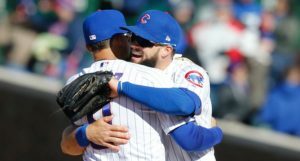 The historically dominant closer (albeit one who is probably in a decline phase (but who is still likely very good)) has been searching for a new team since he hit free agency nearly six months ago. Now *that’s* a World Series hangover. 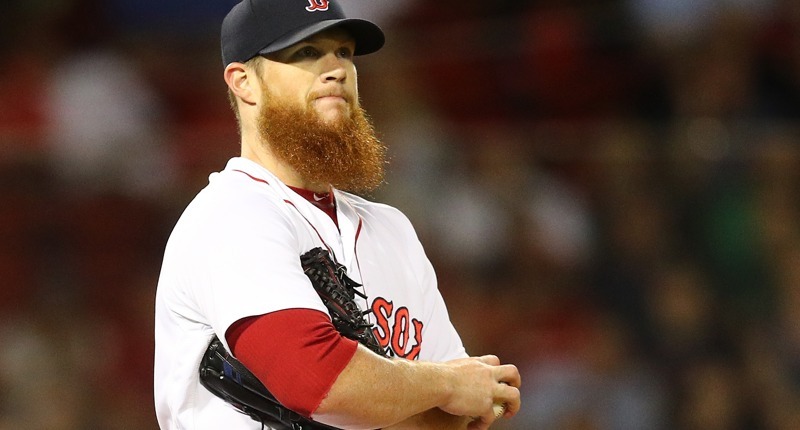 Partly owing to the titanic shift in free agency over the past two years, and partly owing to projections about his future, most believe the reason Kimbrel went unsigned in the offseason is because of his ungodly demands – there were rumors of him seeking 6+ years and $100+ million. Do we know for certain that’s actually what he was seeking? Eh, you know how those early-offseason rumors can be. It’s not impossible to see, though, given that Kenley Jansen had preceded Kimbrel at five years and $80 million, and Aroldis Chapman was at five years and $86 million. Add a year to those deals at a similar AAV, and you’re getting right up there around 6/$100M. I know that budgets are all pretty much set at this point, but good gravy. 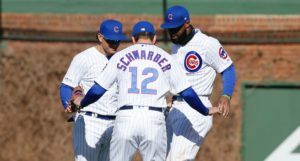 If that’s all it would have taken to get Kimbrel in the offseason, it seems like a no-brainer for so many teams (sigh, including the Cubs, but no money … ). 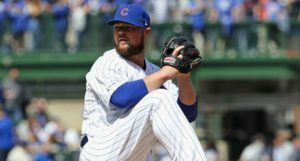 At this point, given that Kimbrel might not be ready to roll fully until mid-May in any case, I wouldn’t be surprised to see him just wait until after the June draft to sign, at which point he’s uncoupled from draft pick compensation, the market for buyers might be more clarified, and he can essentially be a midseason acquisition acquired for only money (at which time, for example, a team like the Cubs could conceivably become more involved, depending on how far the price tag has fallen and how much they’ve reserved for a midseason addition). If Kimbrel does manage to land a multi-year deal at this point, his 2019 salary would be prorated for the time he’s actually able to contribute. You might get like 2.75 years of him for a total payout of like $35-$40 million, based on those numbers above. It just seems so very worth the risk for a guy who could completely change the look of a bullpen by pushing everyone else forward a spot. 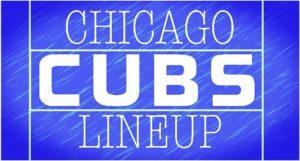 The Cubs, again, I suspect are going to be content to work things out internally, hope on the healthy return of Brandon Morrow (and, to a lesser extent, Tony Barnett and Xavier Cedeño), and may not even become that active in the bullpen market this summer. But, until Kimbrel signs, we’ll keep tabs, as he’s going to have a huge impact wherever he goes, and there are several NL Central (and NL) teams that could use that impact.